What a great idea! I will see who I can round up for some in-person training. In the meantime, my blog’s whole concept is learning to work wood using handtools with not much pre-existing knowledge. I am testing Chris Schwarz’s claim that the book “the Joiner and Cabinet Maker” provides all you need to know to emerge a journeyman. Currently working on the schoolbox portion (while also building a workbench). I’ll make some especially beginner-friendly posts during that week in Feb! I’d be humbled and honored to post anything you guys prepare for the big event! Many thanks…. Nice! I’ve been planning on doing a review of Jim Kingshott’s books and DVDs, this would be a perfect time to post it. These are a fantastic resource for the beginner (and not-so-beginner!). I’d be glad to take part. This might be of interest -it’s a compilation of notes from my first year n woodworking. I’m planning on participating next week, including writing up my experiences at the dovetail class at Port Townsend this weekend. Hell yes! Let’s keep the momentum going! I’m looking forward to reading it, Chuck! Hi Tom, what a great idea. My blog is something a bit different as I am a green woodworker. That is using freshly felled wood with an axe and knife and other simple hand tools. Following your lead I have written a post of what tools you need to start with and I will be posting videos and article about how to make stuff from wood that is often considered fire wood. Also details on here about forums for green woodworker. A great past time without to much expense. 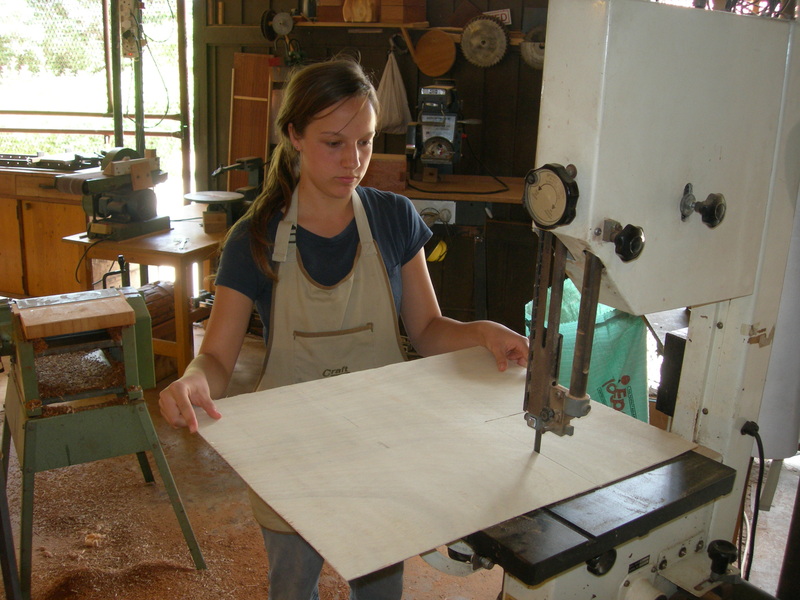 There are plenty of disciplines in woodworking… I think adding information about green woodworking is a great addition! Keep ‘me coming! You guys be sure to send me links to the articles you write.. I’ll be sure to post ’em! Thanks so much for doing this. I’m going to work my way through all these posts with joy. I just posted my contribution for the Get Woodworking Week, a review of Jim Kingshott’s books and videos. These are a fantastic resource for any new hand tool woodworker. This is a great idea! I’ve just begun documenting my foray in woodworking and hopefully my trials and travails will be of some help to others exploring this amazing craft. Unfortunate as it is, I think unless more people are prepared to promote opportunities like woodworking week then the art of good furniture craftsmanship will be lost to future generations. The Scott Morton video was great and when my kids watched it they were on a mission to get some timber and nails…. all it takes is a little inspiration and plenty of motivation. I’m a newbie in woodworking, so lucky I’m to find these great resources for new woodworkers. This will be highly appreciated by many newbies like me. Thank you so much for this resource list. I’m checking out some of the links right now. Very helpful! Hi Tom, I have always wanted to learn woodworking especially since my last name is Turner; which means ‘wood worker’. Unfortunately I don’t know anyone who specializes in this trade. I appreciate the online tutorials but ‘hands-on’ would be great. It is hard having an obsession that exists primarily in your head lol. I wanted to take it in college but I just can’t afford the tuition along with daily life expenses. It is not seen as a professional degree here so there is not much aid for it. Any advice? If you can’t find a local guild, check with your nearest woodworking supply store. No doubt they have tons of folks you can get to know! I took wood shop in high school,even though i could not draw a straight line with a ruler.I learned to do a lot of things with wood. Wood shop taught me how to visualize a finished project from a couple of boards.This class has made me the person i am today. It was one of the biggest mistakes school systems have made by removing all the shop classes in our school systems So many bright students with no outlet.We need to bring back shop classes for the next generation of children. Thanks for sharing the list. I love wood working and I often so some simple things for my family. I want to become a professional woodworker so I have to learn so much. Your list will help me a lot.